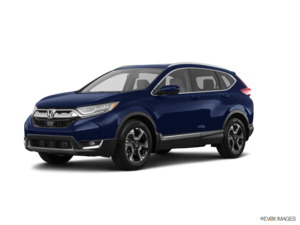 My husband and I went to the Honda Orleans dealership not knowing exactly which type of new CRV we wanted to get. 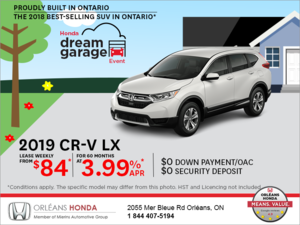 JOEL SCARDINI our sales rep, was able to explain the various uses of the CRV models and was able to answer all of our questions. He explained all the add-ons that we could get and which ones were worth getting. 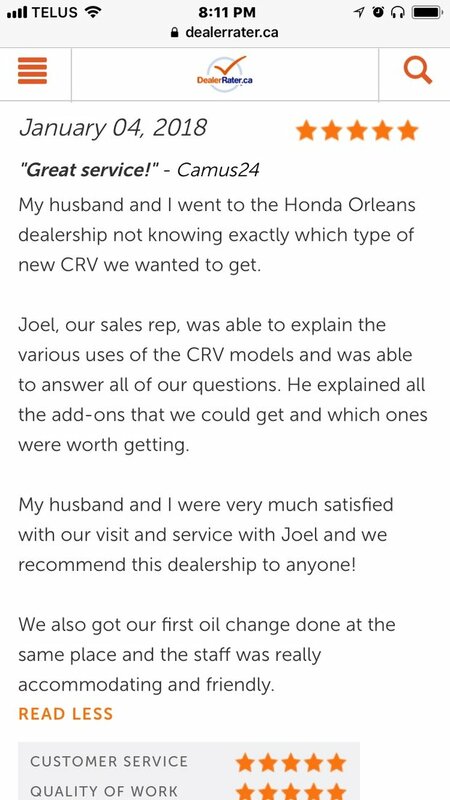 My husband and I were very much satisfied with our visit and service with Joel and we recommend this dealership to anyone! 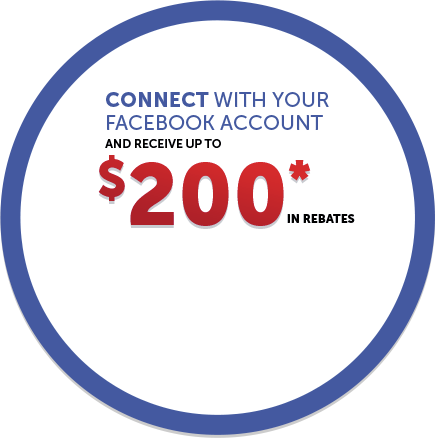 We also got our first oil change done at the same place and the staff was really accommodating and friendly.